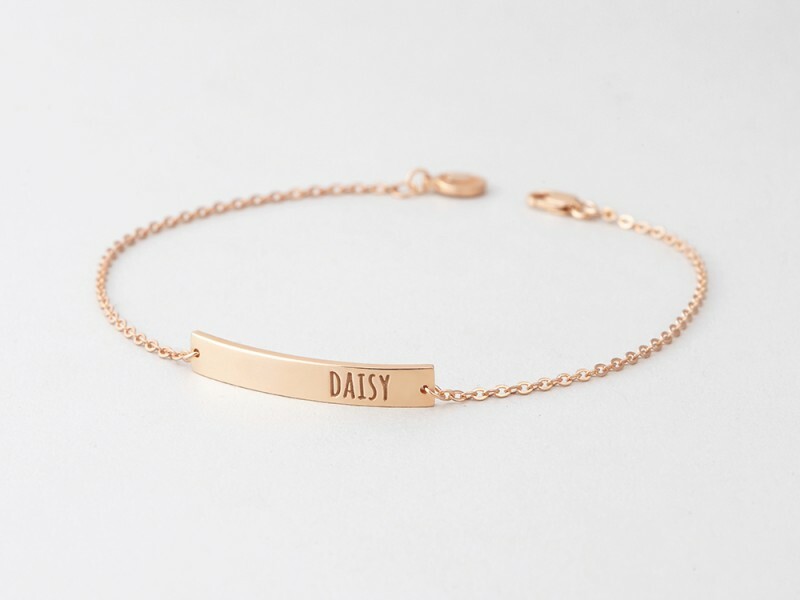 Perfect layered or worn singly, this nameplate bracelet is wonderful addition to your arm candy stack. Custom name bracelets make for wonderful engraved bracelets for her, and are also great as friendship bracelets when bought in pairs or trio. Choose to engrave words or phrase that mean a lot to you, such as "breathe", "peace", "blessed", "believe", "beautiful" - the possibilities are endless. - Character limits: 12 characters. Measurements Bar measures approx. 1 1/4" x 1/4" (32 x 6.5mm).